At the heart of Tibetan Buddhism is a unique combination of altruism and indestructible self-confidence, and this union is clearly embodied in the religious songs and music of its practitioners. For Choying Drolma and the nuns of Nagi Gompa, a Buddhist nunnery in the foothills of the Himalayas, the songs they sing have been passed down in an unbroken living tradition for hundreds of years. 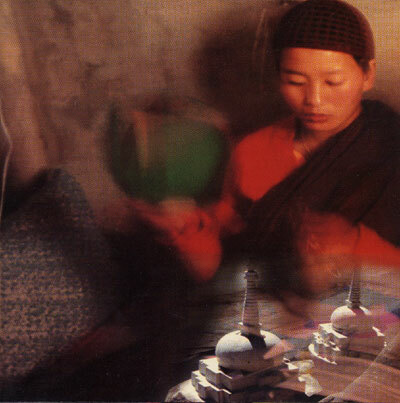 In 1994, guitarist Steve Tibbetts visited their remote monastery to record their music, which he later framed with elegant and restrained arrangements to create the stunning collaboration that is Cho. Embodying the meditative qualities of the more familiar Gregorian chants, the nuns' otherworldly voices strike the heart and soul with a transcendent beauty that could convince even the most cynical listener of the oneness of the universe.